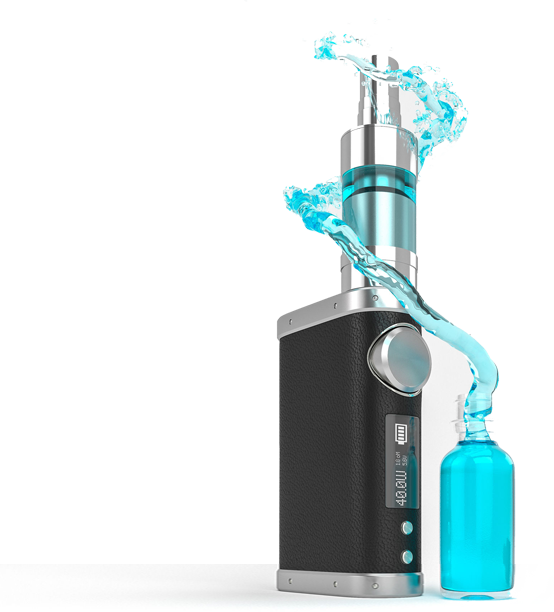 We offer friendly & honest Advice on all Vaping Matters Including Set-up Service. 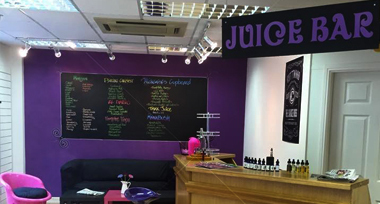 Welcome to Juice-E-Vaporium where you are welcome to come in to our store and try out over 80 flavours of E-Liquid in various mixes and strengths. We offer you friendly & reliable advice for beginners and hobbiests alike. 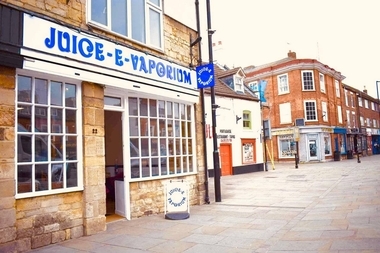 Kam and Debbie opened Juice-e-Vaporium in Grantham, Lincolnshire in 2013. As vapers they were frustrated with the lack of opportunity to try e-liquids before buying them. With friendly, honest and impartial advice on all vaping matters they set the bar for other bricks and mortar shops. Lots of our customers buy online, but before you make a final decision why not come and visit our showroom? All our products are high quality, we make sure you get the best product possible. © Juice-E-Vaporium Limited 2017. All rights reserved.